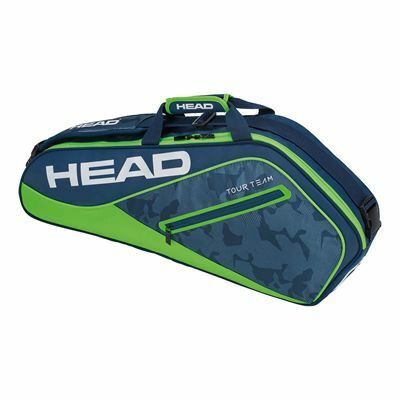 Featuring a stylish, sporty design, the Head Tour Team Pro 3 racket bag offers just enough space to let you bring all the essentials to the court. 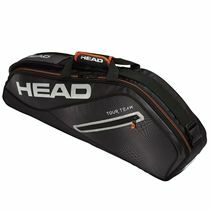 It holds up to 3 rackets in its main compartment and has an inside mesh pocket for smaller personal items and valuables. 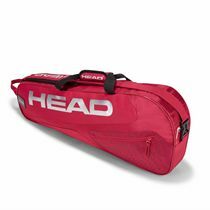 There is a front zipped pocket for easy access to accessories and to make transportation a breeze, the bag includes a dual carry handle and a padded, adjustable and detachable shoulder strap. for submitting product information about Head Tour Team Pro 3 Racket Bag SS18 We aim to answer all questions within 2-3 days. for submitting product information about Head Tour Team Pro 3 Racket Bag SS18. We aim to answer all questions within 2-3 days. If you provided your name and email address, we will email you as soon as the answer is published. 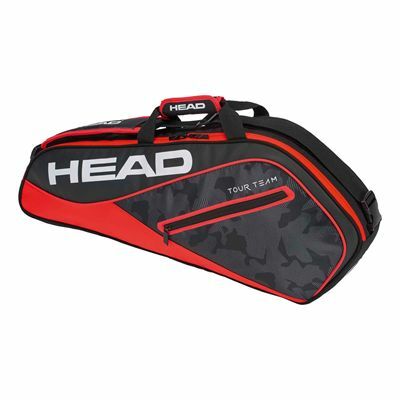 for submitting product review about Head Tour Team Pro 3 Racket Bag SS18.